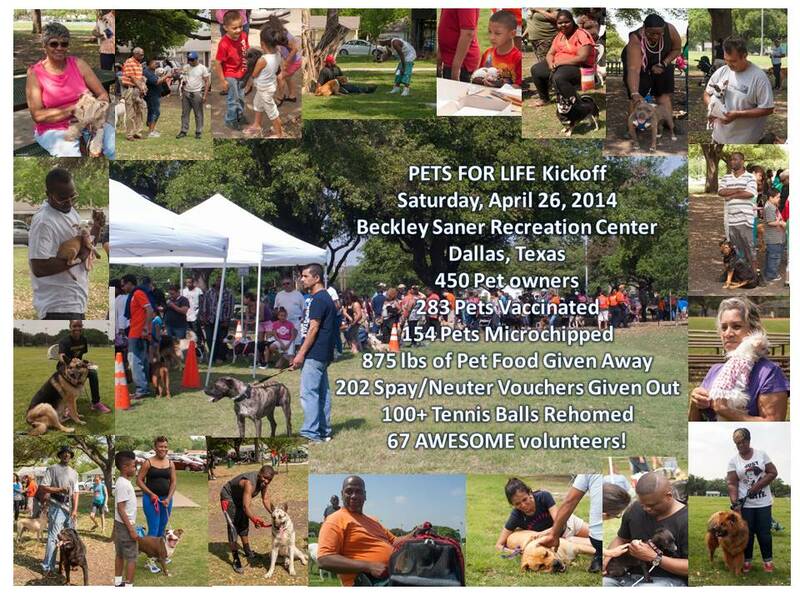 Dallas Companion Animal Project Community Outreach programs help Dallas pets and the people who love them. Pets For Life is our lead outreach program. Created by the Humane Society of the United States and funded by PetSmart Charities, the program builds humane communities using innovative strategies and fresh approaches designed to extend the reach of animal services, resources, and information to under-served areas. Addressing the critical need for accessible, affordable pet care, our program helps animals by empowering the people who care for them. 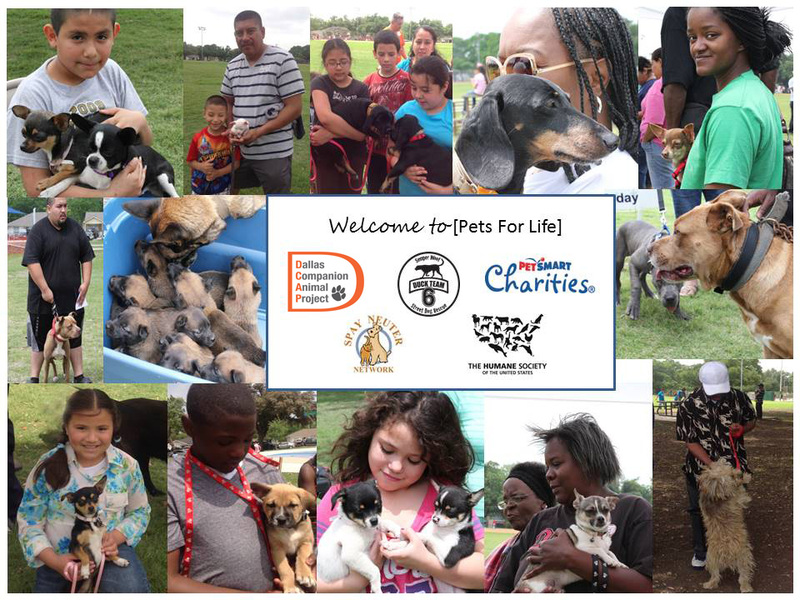 The Dallas Pets For Life program began in early 2014 and is focused on an area inside the 75216 zip code. This area was identified through extensive research that showed it was a low income, under-served area with a high concentration of pets and people who love them. People in this area do not have access to pet-care information, resources, or veterinary and related services, despite an often great need. There are not pet supply stores in this area. There are no veterinarians, boarding facilities, groomers, or anything else pet related. PFL provides ongoing neighborhood outreach, plans community-wide events, and offers free or very low cost services such as dog training, humane education, spay/neuter surgeries, and wellness care. We strive for partnerships with animal welfare organizations and other important community leaders and service providers including faith-based entities, social service programs, health care agencies, and local businesses. PFL is based on the fundamental understanding that where there is human suffering, there is animal suffering. To respond effectively to this, we must reach out to an audience that has the least access to information about animal wellness. Building trustful relationships with people and their pets, making information and resources affordable and easy to access, and establishing an ongoing presence in areas where people conduct their lives are all critical to having a real impact. Experience has shown us that when we extend our compassion to humans as well as other animals and extend resources where needed, we can create long-term and meaningful social change. For more information, visit the Pets For Life website or email pfl(Replace this parenthesis with the @ sign)DallasAnimals.org.